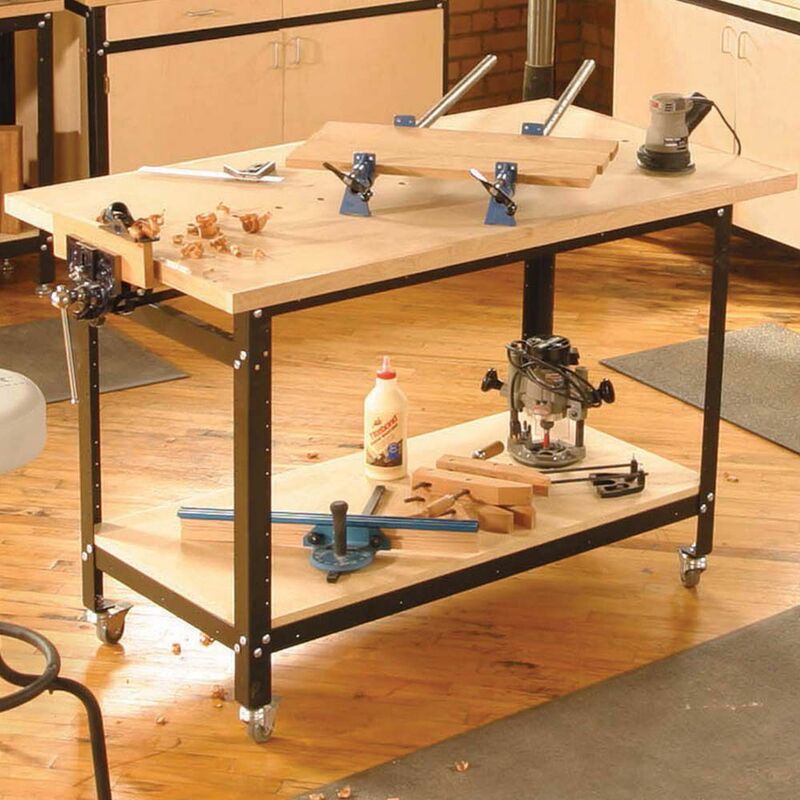 Add an inexpensive, heavy-duty work stand to your shop with this Rockler exclusive! 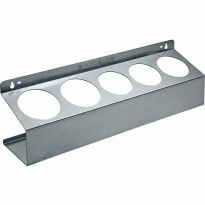 This 32"H x 18"W x 36"L Adjustable Multi-Function Shop Stand is ideal to use when building a heavy duty workbench, assembly station or tool stand for your bench top tools. 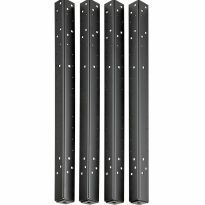 Includes a set of four 32" shop stand legs, four 18" stretchers, and four 36" stretchers! Looking for a different size? Our innovative, universal design lets you build up to 15 different sizes of shop stands. No complaints. Read the instructions and square up as you go! Have a Bosch router and Bosch router table and needed a solid place to mount it that could also be moved out of the way when not in use. This work stand, with a piece of 3/4-inch plywood for a top, is just what I needed, and it fits perfectly behind a jackpost and up against a wall when not in use.. I added a bottom shelf to keep bits, collet wrenches, and miter gauges handy. I was looking to biuld a portable work bench with a metal work surface. I did not want to weld up stand and found theh Rockler work stand to be an ideal starting point. I was not dissapointed. 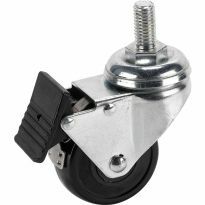 A very nice , easy to assemble but it is essential that it be squared up before tightening all nuts. 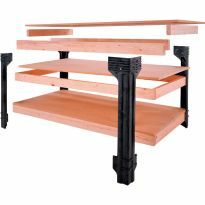 I have several of these stands in various sizes and find them to be both easy to assemble and very sturdy. 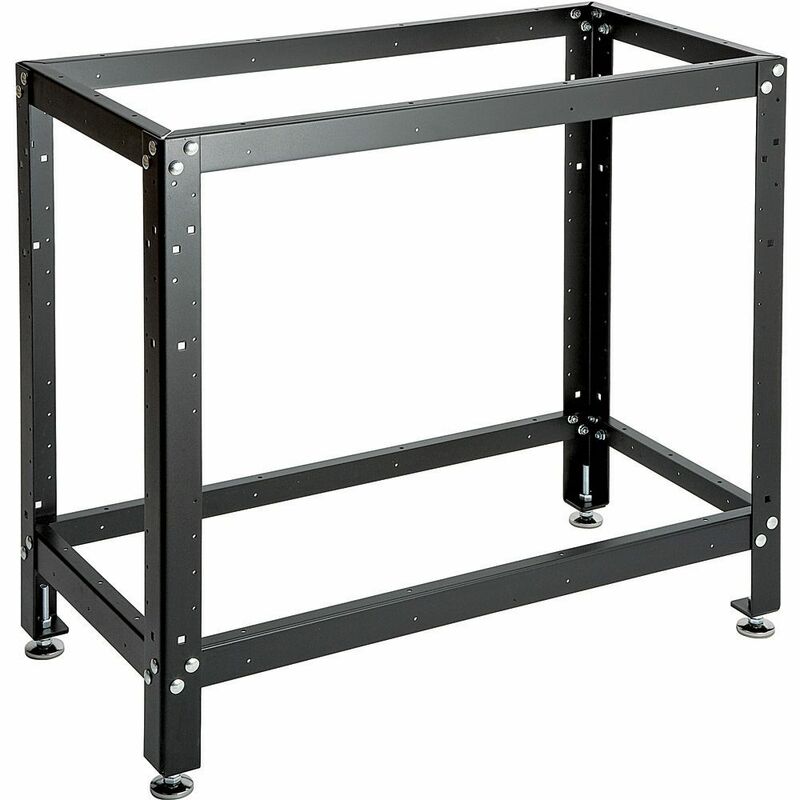 Some I've even used as the support frame for rolling cabinets. I have not witnessed nor can I imagine ever having a problem with their structural durability under relatively heavy loads. Easy to assemble, I added a 3/4 inch slab of plywood to the top using metal/ wood crews...use it for my mini lathe...perfect! Very solid construction, heavy steel. Easy to build, instructions do not&nbsp;come with the package, you need to download them from online. I have built my own tool stands, but this was quick and easy, and solid. Man! This thing is sturdy! My only complaint is the nuts. They're so soft that rounding them is almost a certainty. Once I got everything squared up and tightened, I was convinced nothing less than an impact with a truck would hurt it. I had some big hunks of quality plywood hanging around for the top and shelf. I've mounted a ca. 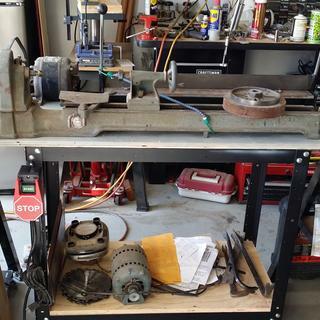 1934 Walker-Turner wood lathe and a Harbor Freight bench brake to it. It's solid as a rock! In the photo you can see the Rockler safety switch mounted to the left leg. The bench itself it well built and easy to assemble. 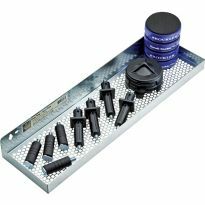 If you order it by components then instructions as what is needed and what is supplied in each part that makes up the bench is confusing. The instructions must have been written by an engineer that wrote user manuals for VCRS. When my bench arrived my package with legs had 1 leg and nuts and bolts. In fact none of the parts had the nuts and bolts. Customer care was very courteous and helpful.How ever it took another 10 days to get the missing components. QC needs work. Looks sturdy. Good Reviews. Need for long term. Stays near my Hammar combo machine and holds some of its parts--especially its heavy shaper fence. Needed for a project I'm working on. Size allows various configurations in a basement shop! This will make a great mobile stand for my welding projects. The exact size I need. How much weight can this stand support? Assume a sheet of plywood across the entire top to spread the load evenly. Thank you for your time! BEST ANSWER: Depends upon the top support or plywood used. The steel stand is built super strong and could likely support several hundred pounds assuming the top support is up to it. I used a proper multi-laminate work bench top 3/4-inch+ thick and it will hold anything I could put on it. With 3/4 plywood top, I've stood on mine, & I weigh 160#. I'm sure it could handle pretty much anything that would fit. The stands are very sturdy. I have had no problems with weight or sway problems. 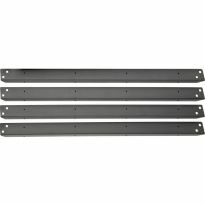 For the 36" x 18" kit, does anyone know the inside dimension of the bottom shelf? The top surface looks to be 36" x 18" but I assume access to a middle or bottom shelf will be a little narrower due to the L shaped steel legs in the corner. BEST ANSWER: Bought this cart 2 years ago and it works great. I just measured the bottom shelf and it is also 18" X 36" maybe ⅛" smaller in both dimensions. The steel supports take very little away from the size. 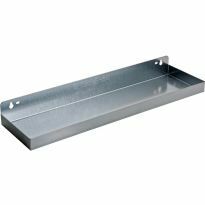 If you are installing a shelf a piece 17 5/8 x 35 1/2 would fit. 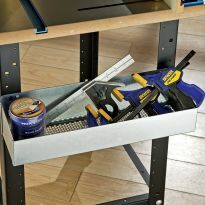 If you are installing drawers the max openings are 31 7/8 (front) and 14 (side). No the stretchers do not adjust. Only the "feet" adjust for variances in floor or for personal height needs.